I am constantly amazed at the level of success of the executive job seekers with whom I work on a daily basis. They run companies. They drive sales. They lead international teams. They are among the smartest I have met with respect to technology. They are rightfully proud of what they have done. Yet, down to a person, they are among the most humble people I have ever met. By infusing their executive resumes with this pride and humility, they prove they are true leaders in their industries without coming across as boastful and overblown. “It was my great team who really did it; we all worked together.” Executive leaders rarely deliver at the individual contributor level. They do understand, however, that the team cannot succeed without their unifying leadership. Therefore, rather than going on about their individual tactical role, they rightfully focus on how they guided the team to larger goals. 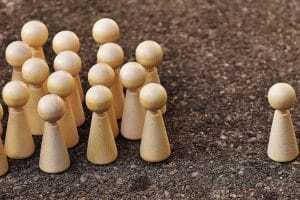 “I have an uncanny ability to hire the right people and place them throughout the company where they can do the most good.” By demonstrating your insight into which people are right for your organization, you achieve two goals. You show that you are wise to the larger industry, and you demonstrate that you can read people very well. Include details in your executive resume about your hiring strategy and the way you assess future team member. “I always hire people who are smarter than I am.”In truth, this is my favorite one. Nobody likes to work for a paranoid organization, and when an executive leader state outright that they are willing to hire team members who have particular expertise or savvy that they don’t, it demonstrates a healthy mix of fearlessness and pride. In short, you should not afraid to recognize the fact that you are the team leader but not always the smartest guy in the room. It’s a big leap to embrace this mindset, especially when, in your early career, you were always hungry for the next win. Now, as a wiser, more tempered executive leader, if you’re smart, your executive resume will show that much of the credit also goes to a rock star team. In doing so, your ability to guide a group to a successful outcome shows you honor your company and each individual on the team. Effectively communicating your talents and value with humility and pride on your executive resume is bound to win the attention of like-minded hiring leaders in your target companies. 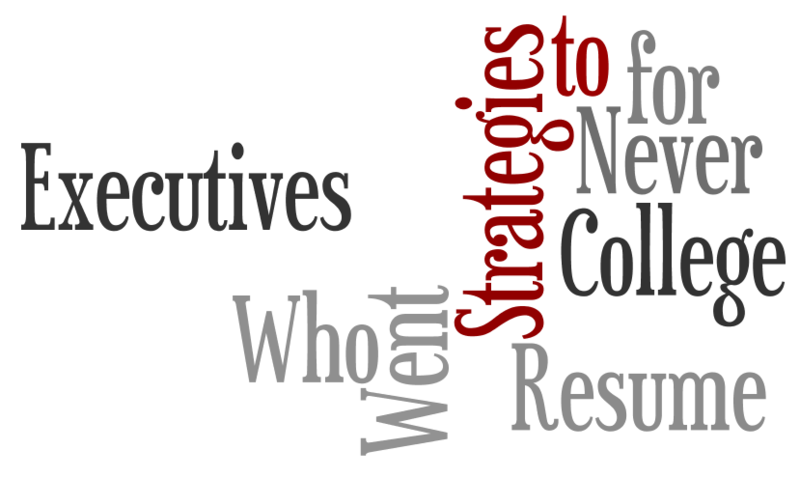 How do you struggle to communicate or market your executive value? Recently, I posted about fear in the executive job search. I was extremely surprised by the level of interest in this blog post (What Do You Fear Most About Your Career Change–search for it on my web site). I could not have predicted the response that this topic received. I think that means that more people are afraid of changing jobs or changing careers then meets the eye. Likely, fear is not an acceptable or common topic of conversation among extremely well-positioned executive leaders; the executive team is supposed to be, evidently, stoic, proud, and fearless. But behind every executive title is a real human being, with his or her own attitudes—and fears. You know that as an executive you should portray fearlessness every day, so you might quietly stew about your executive job search. You may have many reasons for delaying action on it. For example, the holidays are coming, and you need to maintain some stability. Your spouse is also in transition. You’re in the middle of an exciting—or draining—series of projects at work. Your team is counting on you. Your boss is counting on you. Your company is counting on you. On the other hand, perhaps you have made tentative overtures into exploring the market. Either way, you’re probably in a relatively balanced state of ambivalence—not enough pressure from either side to force a decision. Perhaps this ambivalence comes from the fact that your reasons for staying in your current role have nothing to do with your specific needs. Does that mean you think (or I think) that you are a fearful person, or that you treat every challenge to improve your situation as an opportunity to retreat? Of course not. You wouldn’t be in the position you are in right now if you rejected chances to grow and change and lead in your industry. Based on the profiles of the executives I have worked with in the past, I would venture to say that you are extremely good at what you do; ready to fight for what your company, your industry, your team needs; and well-known as an excellent leader and mentor, not to mention humble and willing to give your team credit rather than take it yourself. Moreover, you probably don’t want to rock the boat in which you are standing. But you have to think about your career in terms of your individual needs and requirements for growth. Your feelings about going to work every day in your executive role may range from true excitement to straight-up dread. But the job is yours to love or hate, and you may feel very protective of it. You would never let anyone else disparage you or your company, so you prevent yourself from the close examination of it that might reveal that it is not perfect for you. Because you know how to do your job better than anyone else does, and you’ve proven that, you might think that moving on to another position would diminish your level of comfort in your role. I venture to guess that you have not shrunk from other types of challenges, so I strongly urge you to consider the fact that simply because something is not familiar that it is bad. And simply because something is familiar it is not necessarily universally good for you, as you progress through your career. I would encourage you to ask yourself some of the following questions. They are not easy questions to answer, but your responses might surprise you– either in a good or frustrating way. Do you answer every one of my challenges above with “Yes, but…”? Are you afraid that change necessarily means failure? Are you afraid that you might not have the experience or know how to succeed outside of your current organization? Overall, this article is an attempt to help you identify and perhaps confront what might be holding you back in changing your mindset about your executive job search. In no way is it an indictment of your capability or your willingness to rise to every challenge that confronts you on a professional level. But I hope it does meet you where you are in your thought process about any fears related to career change. Executive job seekers may let fear cloud their judgement on moving forward with a job search, but knowing how to leave those fears aside and create a new beginning is crucial to job search success. “When is the right time for me to make a career change?” There is no easy answer to this question. If you are scared to change your job, then clearly this is not the right time. But if you’re ready to take the plunge, here are some thoughts about how to evaluate what is holding you back. Executive job search fears will get in your way. One of the clearest markers that you are ready to leave your current company and join a new one, is simply the knowledge that you can do more or to better in another environment. Once you have come to this decision, however, you might struggle with understanding your motivations, your need to elevate your income, or your commitment to the incredible team you have created. These fears are natural, because we all fear change. The status quo is a known quantity, whereas moving toward something new, even if it’s what you really want, can provoke some anxiety even in the most accomplished of executives. Fear of change away from the familiar. What you have now in your current role, even if it is not ideal, is familiar—even comfortable in its frustration. We often fear making changes because we don’t know what we will find on the other side of our decision. If you are considering making an executive career change, you need to believe in your ability to make good decisions, just the way you do in your executive role. Fear of disappointing the team. As much as you may love the team you are working on, you have to look out for yourself in your career. As deep as your commitment to your team may be, you have to make a decision about your career that is best for you. Fear of killing a relationship trusted mentor or boss. The relationships you have built with mentors and superiors in your current company are still going to be important, even if you leave your current company. As you decide to make a move to a new organization, or even to a new executive role, you need to preserve the good relationships you’ve built. Your current network will continue to be important in your new company; you never know when you will need the help from or support of your network in the future. Also, people in your network may reach out to you as well, and you need to give back to as much as you have ever taken from these people who have helped you. Am I mentally ready to leave my organization? Will I have no regrets if I leave my organization? Will I truly be happy in a new role that challenges me and elevate my professional game? If you are able to answer “yes” to all three of these questions you can feel confident that you are ready to leave your fears behind as you move to a new executive position. In just the last week, we heard on the news two stories about high-profile people and their inadvertent publicizing of more or less private information. In the case of Duchess Kate Middleton, compromising photos of her were leaked to the media. Clearly she must have thought she was completely alone when these photos were shot. She could not have believed that her very public persona would go unnoticed no matter where she was or what she was doing. Similarly, the campaign of presidential candidate Mitt Romney discovered that a speech he gave was recorded when it should not have been. Whether you agree with his conservative approach or not does not discount the fact that as a public person, he should have been aware that he is always under scrutiny. And whether you believe that a newlywed can or should behave any way she wants privately doesn’t discount the fact that the Duchess should be aware of what she’s doing all the time due to her high profile. The same is true in the executive interview. Let me tell you another story, a very personal one. Two decades ago, when I had just finished a master’s degree program, I was in job search mode. I had achieved an interview for a job that I was interested in, and was sitting before the hiring executive. He asked me all of the usual interview questions, which I answered to the best of my ability. He also asked me something tangential, I believe about my thesis and the way I did the data analysis. He post-scripted this question with “This is not part of the interview.” Without thinking I knee-jerk responded with, “There is no such thing as ‘not part of the interview. '” I suppose I also answered the question about the data analysis. 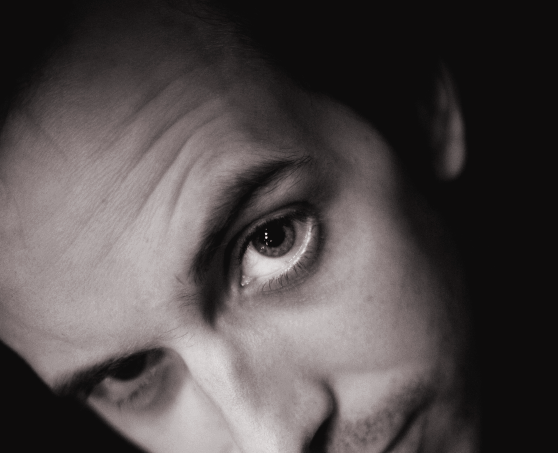 I didn’t get that job–in fact I got another one that I was much better suited for. But I never did forget, and I have repeated many times, that there is no such thing as not part of the interview. 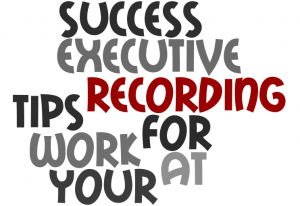 When you are applying for an executive position, you will have to go through many interviews. You’ll interview with executive boards, CEOs, CTOs, CMOs, potential colleagues, and even subordinates. You walk through the company’s hallways, you’ll sit at desks, in conference rooms, in lobbies, and maybe even in restaurants. None of these locations are private, and none of the people with whom you interview are obligated to remain quiet about your conversations. Even if your executive interviewer suggests that your conversation will remain private, he or she has no obligation to remain circumspect about what you say. In fact, the more inflammatory your comments are the more likely someone will repeat them in the form of gossip about your level of professionalism or in the form of a polite letter declining to evaluate your candidacy further. Treat everyone you meet professionally, including administrative personnel. You might even earn some goodwill points by writing a quick e-mail to the receptionist to thank him or her for the kindness shown to you on the day of your interview. Do not let your guard down during your interview, no matter how comfortable you feel with the interviewer. This might be especially true if you know one of the panel members well. That person is not your friend in this context: That person is evaluating you the same way he or she is evaluating every other candidate that walks into similar interviews. If you are asked and uncomfortable for even the legal question, be prepared either a) to answer the question as asked, or b) respectfully decline to answer it based on its level of appropriateness. Do know, that if you answer an illegal question you open up a tremendous can of worms and the opportunity for your interviewer to probe the issue more deeply. 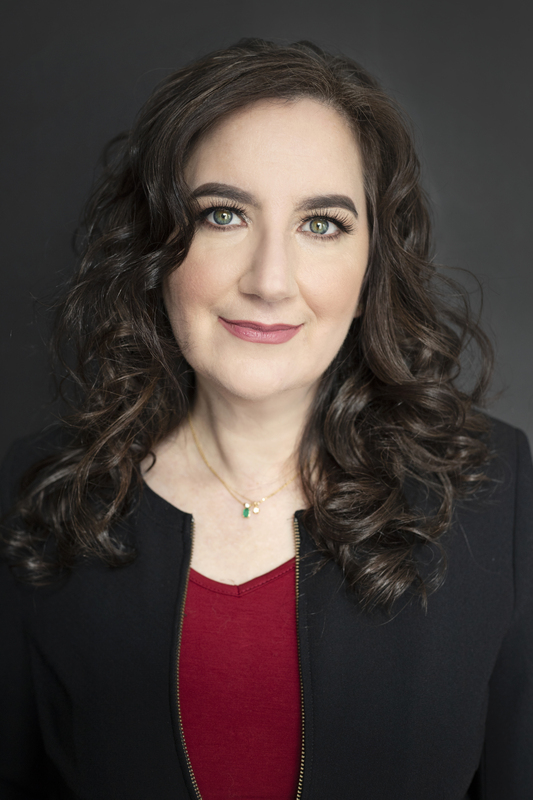 https://www.fivestrengths.com/wordpress/wp-content/uploads/2016/04/Five-Strengths-Logo.png 0 0 Amy L. Adler https://www.fivestrengths.com/wordpress/wp-content/uploads/2016/04/Five-Strengths-Logo.png Amy L. Adler2012-09-19 19:38:342012-09-19 19:38:34Executives, There Is No Such Thing as "Not Part of the Interview"
For executives in need of a resume lift: The time is now to record your executive experience, so you can create a rock solid executive resume. I believe in the need for executives to maintain an accurate written or electronic record of their accomplishments in every job they have held–and they should maintain those records for at least 10 years. Nevertheless, recording executive accomplishments will help you write the executive resume that will secure future promotions, job transfers, and selection for major new projects that can advance executive careers to the C-suite. I wish I had a nickel for every time I received a call from an executive who qualifies his or her career history with, “But I never went to college.” No matter what some of these people have done in their careers, no matter how big the businesses they built became, and know how much no matter how much money they made, their lack of college education seems to stick in their craws. Maybe it’s the one thing they were never able to do. Maybe it’s the one thing they always wanted to do. In my experience, these executives seem to have the most amazing stories and the best experience, and all of that belongs on their executive resumes. The question of whether these executives should include their high school degrees on their resumes is almost moot. On the one hand, they could include their high school education, which would only highlight the fact that they never went to college. 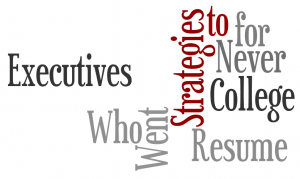 You never want to draw attention to what an executive recruiter might see as a shortcoming. Rather, it makes sense to turn this apparent lack into an opportunity to showcase your skills and expertise. Personal development programs, such as Stephen Covey, or Dale Carnegie. Professional mentor ships, either that you have delivered or participate in. Professional memberships, especially if you have held leadership roles. Any college courses you have ever taken, even if they did not result in a degree. Industry training programs, especially if they resulted in certifications that are relevant to your career goals. Even if a job posting or job opportunity requires a certain level of education, you will find in many cases that executive recruiters and executive hiring boards might be willing to overlook the fact that you do not have a college education in favor of all of the professional experience you bring to the table. If you find that you are passed over for a particular role because you do not have a college degree, you may consider the fact that that company would be a bad fit for you in any case, and you would not do well in that company’s culture. The benefit of including all of your professional training and certifications in your executive development section is that it detracts from your not having a college degree– in fact it sidesteps the question entirely and highlights the best of what you have done in the best of what you have learned. As a complement to your executive experience, this executive development showcases that you are an expert in your field and in your industry, which is really what an executive board or executive recruiter is looking for. 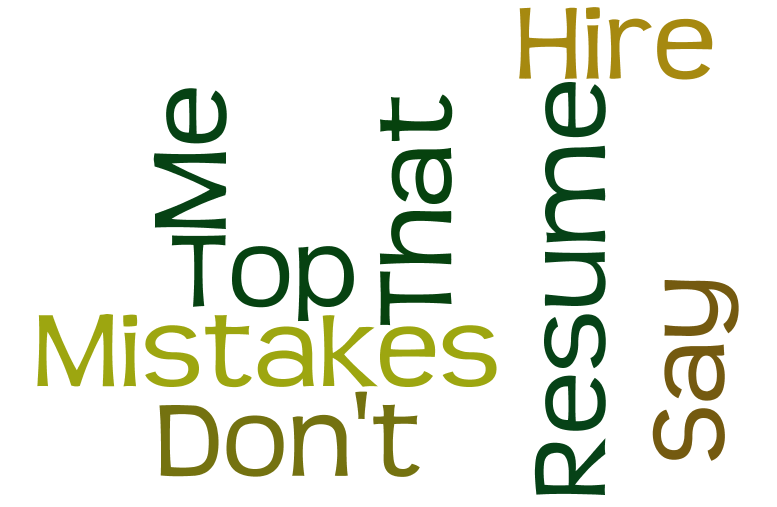 More answers to Top 5 Resume Mistakes That Say “Don’t Hire Me”. The question of whether a job seeker is “responsible for” something is old news for resume writers. We know not to include that type of language. It’s boring. It doesn’t describe anything active or with an outcome. It sounds like a copy-and-paste from the person’s human resources job posting. I am not going to retread that information. 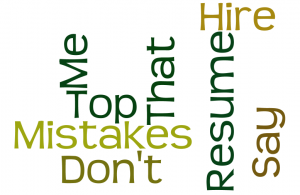 If you want more about that, see this article on 7 Words You Can’t Say in a Resume. It’s always been one of my favorite—and most popular—posts. I’m not going to retread it here. Resume SEO—a new phrase that is hitting the forefront and capturing the attention of career coaches and professional resume writers alike. 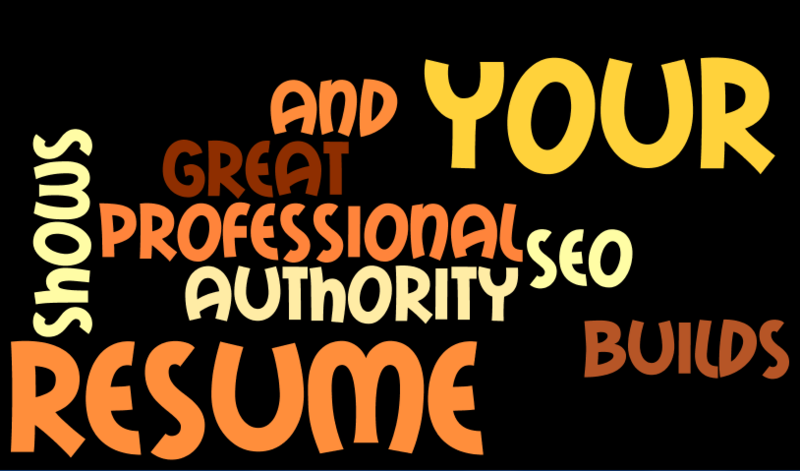 Job seekers, too, need to pay attention to resume SEO. One of the best ways you as a job seeker can do this is by making sure that your resume language has power per total words. That’s not an actual measure, of course, but it should give you something to think about as you review your own resume language. Preptel.com has cornered the market on this strategy. The service enables job seekers to upload their resume and compare it to job postings, word for word. This is what a good professional resume writer does with hand and brain, but the challenge remains the same. Job seeker resumes need to have the right language within the text, so that they are picked up by human resources applicant tracking systems (think: online applications) via the search algorithms that pull up potential candidates. In simpler terms, a marketing executive resume isn’t going to be selected for an electrical engineering position—the phrases that describe a marketing executive simply don’t apply to the technical aspects of electrical engineering. In more complex terms, a marketing executive resume needs to have specific phrases that will be picked up by the search engine algorithm as matches for what a job posting is looking for. On the other hand, some humans—Salt Lake City, Utah recruiters, hiring managers of small businesses, and others—do read resumes with their own eyes. The more focused the language is and the more relevant the wording is, the more likely that human will evaluate the resume more closely. Fluffy, nonspecific language won’t make the grade, but highly technical, relevant wording will impress these very human brains with very specific problems they need to solve with a new hire. What Does Resume SEO Have to Do with “Responsible for”? SEO in broad terms can be thought of as having the right language in the right place for the right reader. Resume SEO is the same, as I explained above. Job seekers who use “responsible for” in every bullet of their resumes are adding two times the number of total bullets more words than are necessary—which dilutes the value of the words that are in there that are relevant. Simply by removing the words that a) add no technical value (again see 7 Words You Can’t Say in a Resume) and b) are simply fluffy extras will dilute your resume’s total impact on a hiring manager, recruiter, or applicant tracking system. 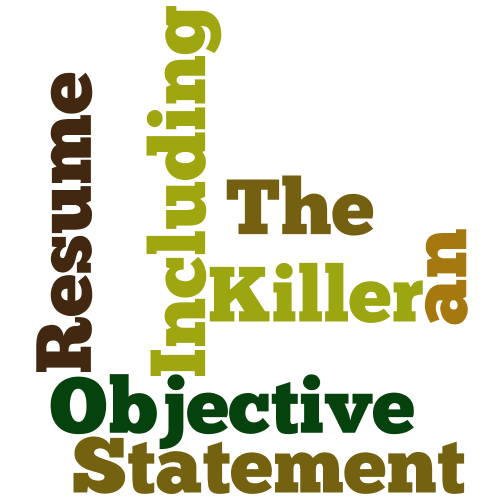 In an earlier post about resume mistakes, I mentioned that including an objective in your professional resume is a kiss of death. Hiring managers do not know you, do not care about you, and do not want to know you. So writing anything that starts with “I want” is going to kill your nascent relationship with the hiring manager, who does not care that you like people, communicate well, or want to increase your responsibilities. Your job is to make hiring managers want to read your professional resume and learn something special about you. They want to know what makes you different and what makes you the right one for the job. You can make that happen with by nixing the objective statement and overhauling your resume with a branding statement that blows your reader away. Remember, all hiring managers are hoping that the resume they are reading now is owned by their next great hire. All you have to do is convince them that you are the right one and make them want to pick up the phone and dial your cell. The easiest solution to the problem of why an objective statement is the worst opener for a great resume begins with your sitting down with yourself and asking yourself what makes you great. Your answers to that very general question must be very specific. They have to address your specific history and your specific abilities and skills. Some examples of these answers can include the following. Of course, these are only examples. You can’t copy these for your own resume. Why not? Because these are made-up examples. They refer to nobody in particular, certainly not you. A famous person once said that the right answer is usually the most difficult, costly, and frustrating. You have to pick up a pencil and pad and start to brainstorm about what makes you great. That is the only answer. But when you finally have that answer, and you are confident that the words represent you the way you want to portray your brand of excellence, you will start to notice something remarkable that might not have happened before. Your phone will start to ring. Your professional resume will start to get you those interviews you have been after, because you are starting to show the value that you offer to a hiring manager. You will show in your professional resume that you have done A, B, and C before, and you are likely to be able to achieve those types of results again.